In this article, we’re going deep to see how Calgary and Toronto compare in terms of auto insurance. 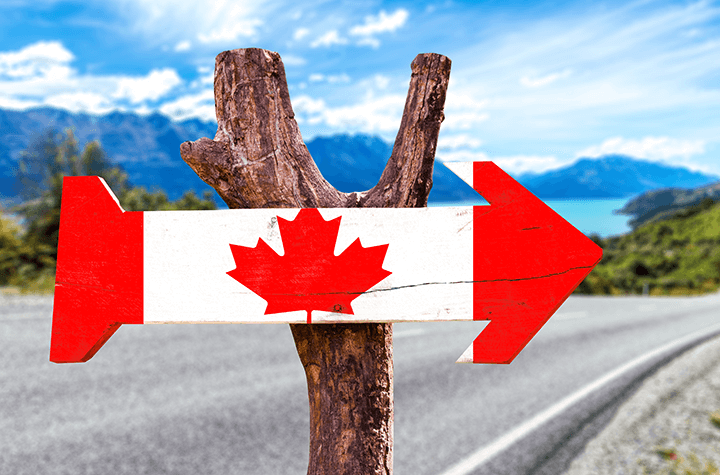 Both of these great Canadian cities rank in the top three most expensive provinces for auto insurance rates. They have unique risk factors, population constraints, and discount opportunities. Insurance providers gauge the risk of a city much like they gauge the risk profile of an individual driver. For drivers, insurers scrutinize the categories of age, gender, vehicle type, driving experience and more. In cities, insurers look at the volume of regional claims, traffic, road conditions, crime, extreme weather, and other key statistics. Location is one of the ways in which insurance companies assess risk, and each location has a certain population density. According to Statistics Canada, Toronto has approximately five times the population of Calgary, but could population density be the only reason for Toronto’s sky-high insurance rate? And if Calgary has a population 1/5th that of Toronto, why does their insurance rate compete so closely with Toronto? Both cities have rural roads on the outskirts that have an increased probability of sudden, catastrophic accidents due to high speed, fewer lanes, and driver inattention. Take accidents involving live animals, which are a huge cause for concern on most Canadian roads, for example. They’ve been known to shut down entire roadways in certain cases. Both locations have similarities, but there are some key differences based on the insurance industry’s favourite word: statistics! Did you know that the province of Alberta leads the country in auto theft, according to the last 2016 census? It’s true. Despite the relatively low population of Alberta compared to Ontario, Albertans reported 22,801 auto thefts in 2016 versus Ontario’s 17,223. Residents in Calgary report major traffic headaches, similar to other major cities, but what may propel their auto insurance rates up is the prevalence of extreme weather in the region. Hailstorms are a regular occurrence in Alberta, where “golf ball sized hail” storms have been known to materialize, damaging all types of property, including auto, causing expensive repair-replacement costs. These types of regular weather events result in $500 million to $600 million in total claim payouts across Alberta’s insurance climate – no wonder their rates are high; insurance companies are kept on their toes every winter. It’s not only the weather in Alberta, either. The province’s lax regulations surrounding vehicle transfer makes ownership documents easy to forge (legitimizing stolen vehicles), while insurance fraud remains rampant. Speaking of insurance fraud, Ontario is becoming known as Canada’s prized peach when it comes to criminal activity in the auto insurance sector. Auto-shop scams and lack of oversight by consumers has driven up the price of insurance across the province, which only makes the rates worse for Torontonians who already have to deal with a host of other risk factors. Because Toronto has the largest population in the country, there is bound to be some insurance inflation to go with the increased levels of crime, vandalism, commuter accidents, and traffic, that fall adjacent to that population statistic, year-round. Ontario has its fair share of horrible weather too, but its population may just be the deciding factor that makes the average premium 30% higher in total. Another factor that plays into the calculation of auto insurance premiums is homeownership. Owning a home actually lowers your auto premium. Insurance providers tend to think that owning a home makes the policyholder more responsible in general, which qualifies them for a discount. Next, homeowners can choose to bundle their policies and qualify for another discount on top of that first one. Homeownership is declining in Ontario but rising in Alberta. The near 0% rental vacancy rate in Toronto doesn’t help, either. The lessening homeownership in Ontario points to a larger proportion of renters, making most of them unqualified for the homeownership discount that many in Alberta may have access to-especially in their capital. Calgary saw home sales increase last year, which is apt to continue as their rate of homeownership maintains a slow but steady increase -- 3% higher than Ontario based on the last Canadian census. Because there are more homeowners in Alberta, with a lower population, the opportunity to bundle their home and auto policies will be much greater, perhaps leading to the lower insurance rate. Plus, the average price of a home in Calgary is less than $500,000, making homeownership a lot more attainable than it is in Toronto, where the average price hovers around $1 million. This statistic alone makes bundling home and auto insurances an easier feat for people in Calgary, despite Toronto’s recent slump in real estate sales. Drivers in Toronto pay, on average, $300 more per year than those from Calgary for auto insurance coverage. This is due to the increased incidence (sustained by a very large population) of auto damage, crime, fraud, commuter collision, heavy traffic, and distracted driving, which we broke down above. Alberta’s access to real estate allows them to qualify for more discounts, especially when they bundle. Insurance providers update their rates every quarter, accounting for new trends in the auto claim industry. The adjusted prices may not always trickle down to the passive customer, however. You need to proactively compare quotes to find better deals and ask your insurer which discounts you're qualifying for. If you live in either Calgary or Toronto, two of the most expensive cities for auto insurance, it would be in your best interest to take advantage of every discount you qualify for, to maintain the best driving record you can, and to make sure you’re doing everything in your control to lessen your individual risk. If you’re like one of the many renters in Ontario or Alberta, (sad that you can’t bundle property insurance) ask different insurers if they’re able to bundle renters insurance instead of homeowners. Renters insurance is one of the most affordable insurance policies around.